Casual short hairstyles are easy-going, free-flowing, and unstructured. 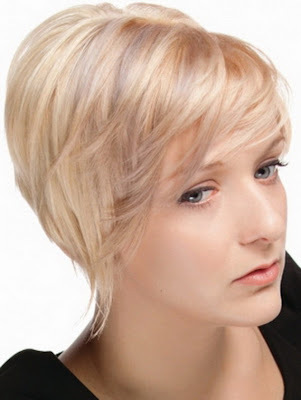 A cute short cut is popular with women who find it difficult to manage long hairstyles. Most of the shorter cuts are designed with a minimal fuss factor in mind. Cut types include razor cuts, precision cuts, and several different layering techniques, which let the hair flow in a natural form and shape. With some well-recognized celebrities favoring short hairstyles, the shorter styles are now becoming almost a fashion norm.